TeaWea > Recipes > Seasonal > Fall & Winter > Last Gathering of the year & your Fall duties. Last Gathering of the year & your Fall duties. Your chances begin to dwindle the minute you feel the temperature change between Fall and Winter. Which means, the last gathering of the year and your fall duties are imminent. We’re approaching the last week of September. The nightly temperature is now dipping below 10 degrees Celsius. The days are starting off foggy and colder, and sun is a rarity. This means, it’s the last chance to gather up your herbs for the winter. 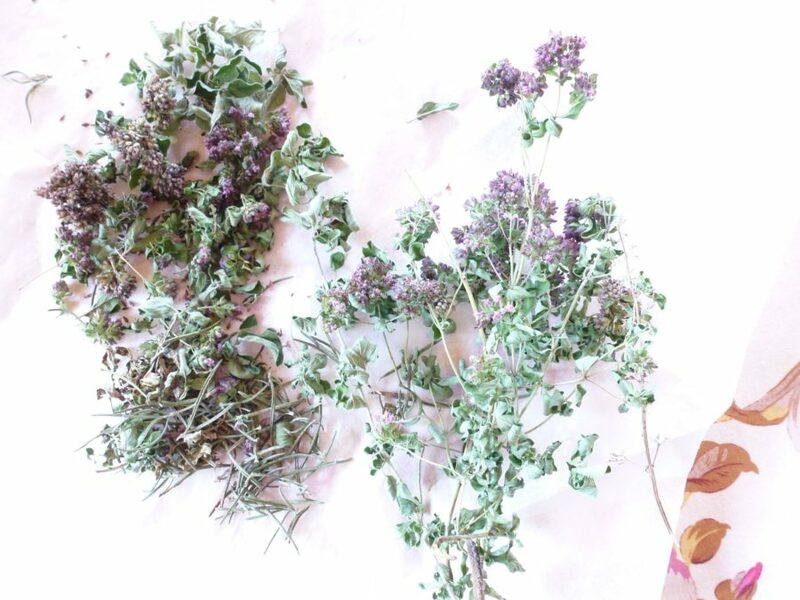 Decide which herbs you want during winter, and don’t procrastinate this decision. As soon as the first frost hits, which can sometimes be sooner than later, it’s too late. The leaves on most herbs are damaged and compromised. Plan for a long winter, get out there and pick and pick and pick. 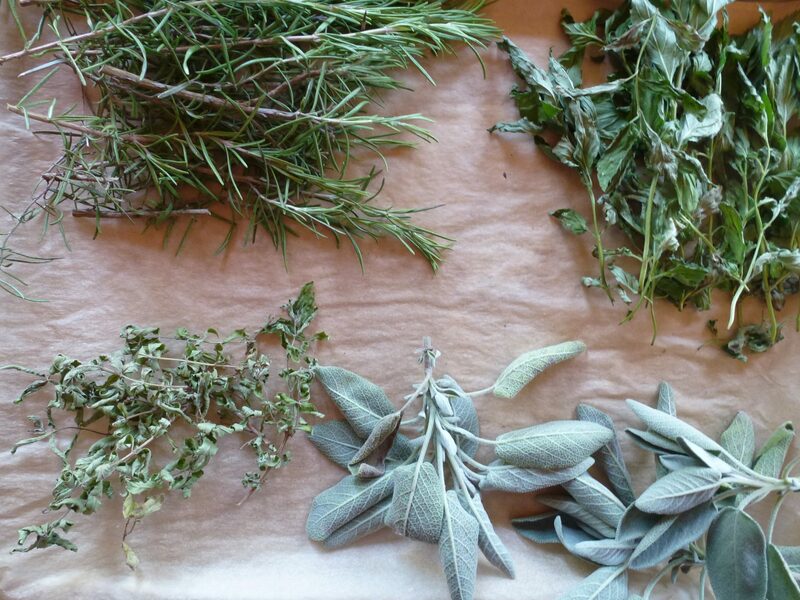 Cut what you can, and lay out in a dry safe spot and allow the herbs to dry naturally. When dried to completion, clean the leaves from the stems, and store in an airtight ziploc bag, or a glass jar clearly labeled with the name, and year. Store in a dark, cool pantry and be prepared to use the Italian herbs and tea herbs all winter long. For the oregano and rosemary, you can combine the two, chop finely, add salt, and put into a season jar to have for your sauces and pizza toppers. Next on the list is transplanting the delicate herbs from the garden, to a pot that can be brought indoors. The few delicate varieties I bring in are the Moroccan mint, verbena, and oswego. Kept in the right indoor location, even in a basement or garage, with a few occasional waterings is all you need to do for these girls. Then, in spring after the last freeze, you can return them to their original spot.